Out of nowhere, my Toshiba Tecra R950 laptop has recently started wildly flickering and flashing vertical lines at regular intervals. Strangely though, the flickering happens in some situations and not in others. For example, when I hit CTRL+ALT+DELETE the blue menu screen comes on and the flickering stops. Also when I expand the task manager to full screen, there is no flickering. The flickering also tends to happen much more while on certain web pages and application than on others. For example, when Gmail is open in the browser, it flickers a lot. But when on Google.com, it doesn't. For this reason, I am quite confident that this is not a hardware issue. The cause of the wild flickering was Night Light mode. I had enabled it around the time that the flickering started. This doesn't completely solve the issue and there must be another perpetrator since there is still an occasional flicker. But turning off Night Light mode alleviated the bulk of this issue! 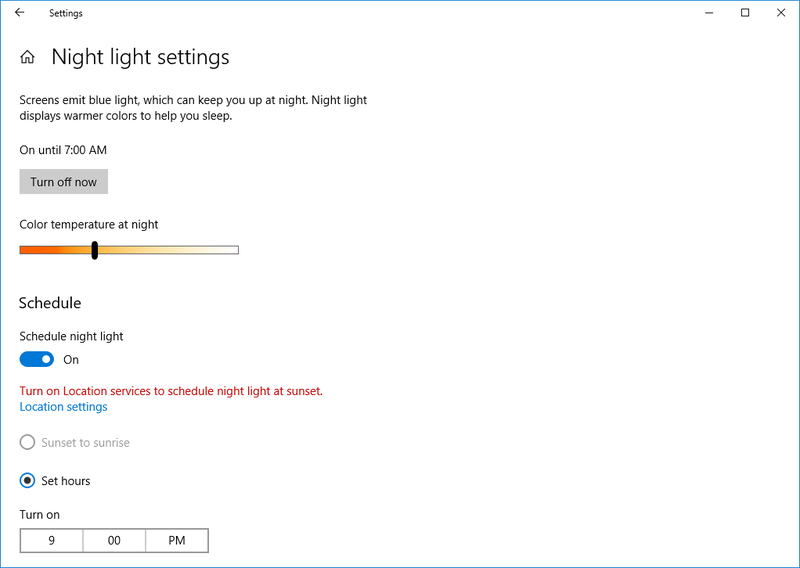 To turn it off, type "Night Light" in the Start Menu, and then click "Turn off now" in the window. Unfortunately, that is almost definitely a hardware issue. I suppose technically speaking someone could write a program that would display something like that, but getting it to run in front of the Windows logon screen, as shown in your picture & video would be difficult, and would only be attempted by malware, which would have to have write access to protected Windows files, and honestly, why would someone do this, if they're writing malware that needs to get access to protected Windows files, there is so much more that they could easily do. In my experience, that pattern is always a hardware issue. 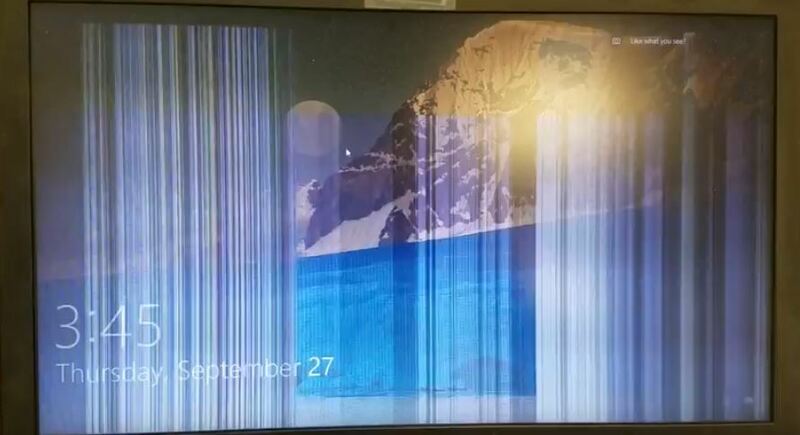 If you really, really don't want to believe that your monitor is going bad, do as suggested in the comments: Download a Linux LiveCD, burn it to a CD, and boot your computer from that disc. If the issue still occurs, it's 100% definitely a hardware issue, as you're no longer using the same software at all. Note: Replacing an LCD in a Laptop isn't all that difficult. If you know what make & model your laptop is you should search online for either an "LCD replacement" guide or a "teardown" of it, which will show you how to take it apart, and then you just reverse the process once you've swapped the new screen in, most laptops these days have at least a written guide posted if not a video on YouTube. Not the answer you're looking for? Browse other questions tagged laptop display troubleshooting amd-radeon display-driver or ask your own question.